CHESTER— A proposed organic market on Route 154 that over the past year has been the subject of a lawsuit and variance requests to the zoning board of appeals goes back to the planning and zoning commission next week. The commission will hold a public hearing Thursday on a special permit application by 56 Middlesex Avenue LLC of Cromwell and local resident Peter Kehayias for a first floor retail market and second floor office in the vacant building at 56 Middlesex Avenue, also known as Route 154. The hearing convenes at 7:30 p.m. in the Chester Meeting House on Liberty Street. Kehayias, a former owner of the Pattaconk Restaurant who still owns the Main Street building, has been seeking approval for the proposed market for nearly a year. The 56 Middlesex Avenue building, a former service station that most recently was a bicycle repair shop, has been vacant for several years. The commission last November denied a special permit application for the property that included the market and a 10-seat cafe area for customers. Kehayias appealed the denial in a lawsuit filed in Middlesex Superior Court, and earlier this year also asked the zoning board of appeals to approve variances that would serve to reverse the planning and zoning commission decision. The ZBA in March denied the variance requests that would have authorized the market use, but approved a variance that allows an expansion of the structure to house a walk-in cooler. The new application set for public hearing next week makes no reference to a cafe seating area, but calls for a retail market that would sell “a range of prepared foods, dry goods, groceries and locally grown fruits and vegetables,” along with some meats, poultry, fish and seafood. The Organic Market would be open seven days a week, with hours from 9 a.m. to 7 p.m. and shorter hours on weekends. Another thing that has changed since the original permit denial last November is that Kehayias is now serving on the commission he has been appearing before over the past year. Kehayias was appointed by the board of selectmen in late March to fill a vacant alternate seat on the panel. Kehayias has recused himself from participating in commission discussions involving his property or proposed business activities, most recently earlier this month when the panel approved construction of a three-foot deep utility trench crossing the Chester War Memorial site to allow for an upgrade of electrical service to the 56 Middlesex Avenue property. The Chester War Memorial parcel, which has a granite monument listing the names of town veterans, abuts the 56 Middlesex Avenue site. Local veterans did not object to the underground utility connection. In a second special permit application set for public hearing on July 7, the United Church of Chester and Dawn Miles of Old Saybrook are seeking approval for a day care center/school on church-owned property at 29 West Avenue, also known as Route 148. The center/school would offer a Montessori education program for children ages 3-9, along with before and after school child care services. 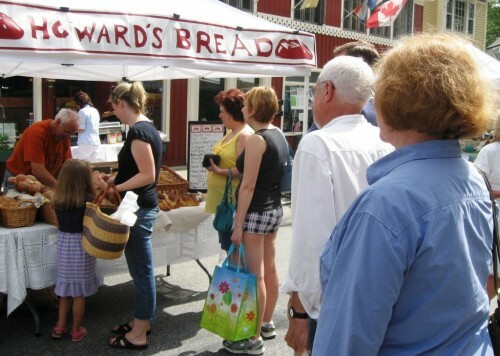 The best and easiest place to buy “Howard’s Bread” is at the Sunday Chester Market, which takes place on a “car free” Main Street in the center of town. Hours for the Sunday market are from ten in the morning until one in the afternoon, and the season lasts from May to October. Kaplan sells a wide variety of breads at the market from a comfortably shaded, one man stall. On display beside him are more than a dozen kinds of bread to choose from. 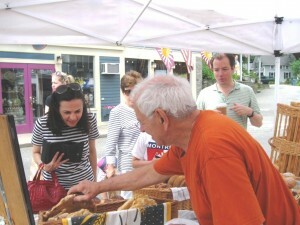 While selling his bread Kaplan keeps up a steady conversation with his customers. In fact, buying “Howard’s Bread” at the Chester Market is a bread making tutorial, as the bread maker carefully explains to his customers the differing tasting qualities of his breads. One particular favorite of “Howard’s Bread” is the “bialy,” which he says is often called the Jewish English Muffin. According to Kaplan, “bialys” were created in the Polish town of Bialystok, which before World War II had a large Jewish population. “Some of them managed to escape,” Kaplan says, which means that the popular “bialy” lives on. As for his “bialys,” Kaplan notes that Chester’s popular River Tavern caries them, serving them only with smoked salmon. Kaplan also says with a twinkle that he has “turned on” many, many “non-Jews” to learn to love the bialy. However, Kaplan has far more than just bialys to offer his customers. 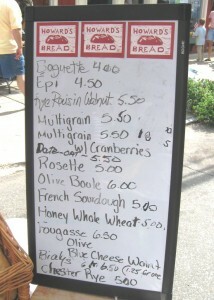 At a recent Sunday Chester Market his hand-printed menu sign read, “Baguette, Epi, Rye Raisin Walnut, Multigrain, Multigrain with Cranberries, Date-Oat, Rosette, Olive Boule, French Sourdough, Honey Whole Wheat, Fougasse (Olive & Blue Cheese Walnut), Bialys, and Rye.” Typical prices are five dollars for a loaf of French Sourdough and six-fifty, for six of his bialys. 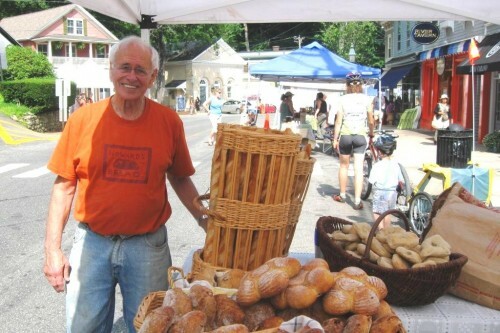 Another major event at which “Howard’s Bread” is sold, takes place at the annual Market en Pleine Aire of the Florence Griswold Museum in Old Lyme. The market is held on the museum grounds the last Saturday of July (July 30 this year) and it attracts some 8,000 people. Kaplan does an exceptionally good business at the museum’s annual market. According to him, he opens for business at nine o’clock, “and I am sold out by eleven.” Also, he says that at times there is a line of 30 people waiting to buy his bread selections. When dealing with this jostle of bread buyers Kaplan says that he tries “to ration the number of breads that people can buy.” There is a back up for those who miss the boat in buying “Howard’s Bread” at the open markets. Selections are also available at Fromage in Old Saybrook and the Cheese Shop in Centerbrook. 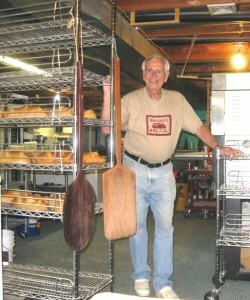 Kaplan makes all of the many varieties of “Howard’s Bread” in his 1,000 square foot basement at his home on a hilltop in Chester. Using every square inch of the floor space, his baking operation has almost an industrial feel. On hand are numerous racks yawning for finished bread, large ovens, huge freezers and giant mixing machines, all in a space brightly lit by bare light bulbs. Sometimes Kaplan’s Ireland-born wife, Pauline, who he met at a baking class at the local Chester synagogue, helps her husband with the baking. However, most of the work of baking the bread is done by Kaplan, working alone. The day's memu of "Howard's Bread"
Kaplan is totally professional in the making his bread, which he admits is “hard work.” His bread making tasks include making and mixing of the dough, weighing the dough and forming it by hand, placing the formed dough into ovens, and of course making sure he takes the loaves out on time. Kaplan’s goal is to bake five different kinds of bread each week. Kaplan avers that he learned many of his bread baking techniques in Paris, and also he was tutored by Master Class bakers from among some of the best bakers in the world. Kaplan is also a member of the prestigious Bread Bakers Guild of America. Also, on occasion Kaplan himself volunteers to give bread baking classes. Kaplan even has an instruction sheet, which he gives to customers, on “BRINGING HOWARD’S BREAD BACK TO LIFE. After setting forth the oven temperatures necessary to resuscitate baguettes, fougasses and “other shapes,” he suggests a “TEST FOR DONENESS,” which involves, artfully, tapping the crust with a fingernail. There is of course another part of Howard Kaplan’s life besides bread making. He is, professionally, a very successful financial advisor with one of the nation’s leading investment firms. We meant to refrain from saying that in his financial advisor capacity that Kaplan is working with a different kind of “dough,” but the temptation was just too great. Lining up for "Howard's Bread"
Richard Prowell, a founder and member of the Hadlyme Ferry Historic District Commission, explains how the Historic District was created and that the ferry’s route across the river is included as part of the Historic District. 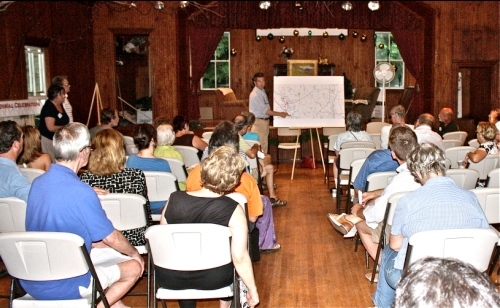 More than 50 supporters of the Chester-Hadlyme Ferry gathered yesterday evening in Hadlyme Public Hall to map out a strategy to save the Connecticut River ferries from being closed down by the state. Sponsored by the Hadlyme Public Hall Association, the meeting was called by local organizers, who explained that they had been told by state Department of Transport executives that elimination of ferry service is on the list of budget cuts being considered by Governor Malloy. Since news of the possible closure leaked out six months ago, the Hadlyme Hall Association has spearheaded local efforts to require the state to a take hard look at the benefits provided by the ferries, including tourism, energy savings, and a route often used by emergency vehicles. One of the points made yesterday by a number of speakers is that the Chester-Hadlyme Ferry is the only way to cross the Connecticut River between Old Saybrook and the East Haddam Bridge. This latter bridge is often closed to traffic since it is a swing bringe and must frequently be opened to allow boats to pass beneath it. 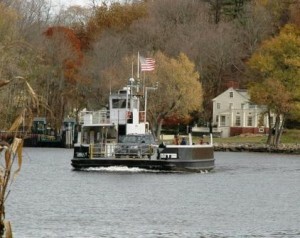 When the East Haddam Bridge is open for boats and thus blocks traffic attempting to cross the river, the Chester-Hadlyme Ferry is the sole means to cross the river between Old Saybrook and Middletown. At Tuesday’s meeting the attendees mapped out plans to meet with local government officials and business leaders to urge them to express their support for the ferries to state officials. Jeffery Riley, a resident of the Hadlyme area, shows how the Chester-Hadlyme Ferry is a "funnel" for tourism traffic to popular vacation and visitor attractions, such as Gillette Castle, Devil's Hopyard State Park, Fox Hopyard Golf Course, and several summer colonies. The Hadlyme Public Hall Association has underwritten the expense of developing a mailing list derived from the more 2,000 signers of a petition circulated last December urging the state to continue the ferry service. The Association is currently mailing out postcards that encourage those petition-signers to contact their state legislators. Anyone who would like to assist in the effort to save the ferries should send an e-mail to hadlymehall@gmail.com or call 518-253-4844. Middlesex United Way’s 2010/2011 Campaign Film, titled Live. Share. Grow. 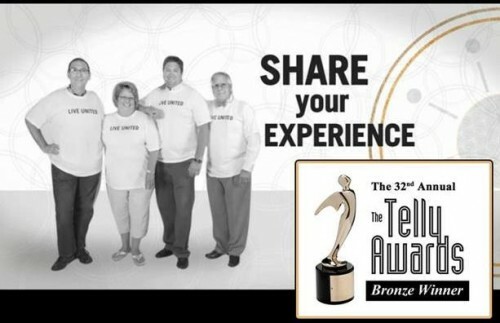 Build., was honored with a Bronze Telly Award. 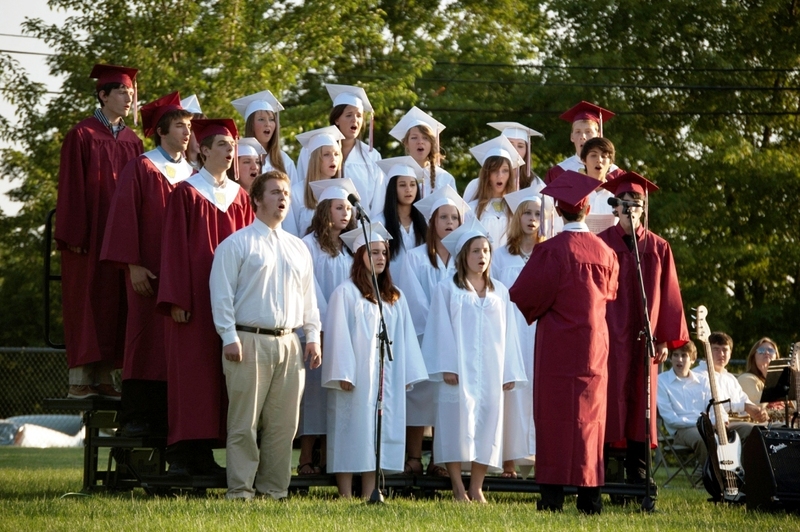 The Middlesex United Way film was created and directed by Sunrise Pictures of Middletown. The short film is shown to thousands of employees in the workplace during United Way’s fall campaign season. View this year’s award winning film at www.middlesexunitedway.org/video, or by searching Middlesex United Way on YouTube. Founded in 1979, the Telly Awards is the premier award honoring outstanding local, regional, and cable TV commercials and programs, the finest film and video production, and groundbreaking web commercials, videos, and films. A prestigious judging panel of more than 40 accomplished industry professionals, each a past winner of a Telly Award, judge the competition to uphold the highest standard of excellence. Winners represent the best work of the most respected advertising agencies, production companies, television stations, cable operators, and corporate video departments in the world. Entries to the Telly Awards are not judged against each other – rather entries are judged against a high standard of merit. Middlesex United Way is advancing the common good by creating opportunities for a better life for all. Our focus is on education, income, health and housing – the building blocks for a good quality of life. United Way recruits people and organizations that bring the passion, expertise, and resources needed to get things done. You are invited to be part of the change by giving, advocating and volunteering. That’s what it means to Live United. Northeast Paranormal Investigations Society will be conducting a presentation of their evidence of paranormal activity captured throughout the Northeast region of the U.S. at the Deep River Public Library on July 16 at 7:00 pm. The presentation will contain some very interesting evidence which was captured at the library itself. Please call for more information at 860-526-6039. REGION 4–A U.S. Department of Education Office of Civil Rights investigation of Region 4 and Valley Regional High School administrators has been dropped after the parent of the Asian-American student involved in the case withdrew the complaint. Jim Bradshaw, a spokesman for the Department of Education, and an attorney for the school district, each confirmed Tuesday that Bounthanh Outama, father of high school senior Aaron Outama, had recently withdrawn the civil rights complaint he filed against the school district last December. Bradshaw said the case, which included an investigation of the actions of district administrators conducted earlier this year by Office of Civil Rights personnel, had been “closed administratively,” with no further action or report expected on the matter. Outama’s complaint had alleged that his son, who is of Laotian descent, had received harsher disciplinary action than other students who were involved in a rally held last September in support of former high school principal Eric Rice. 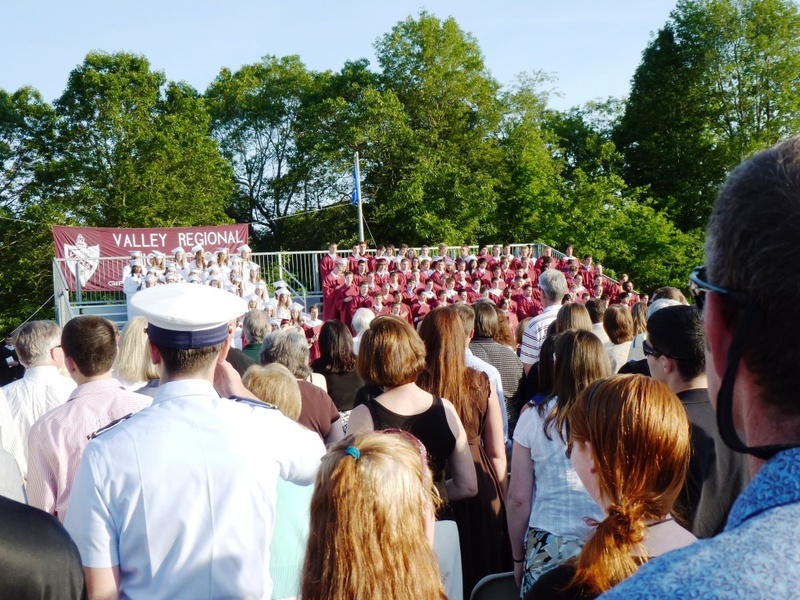 The complaint was directed at Superintendent of Schools Ruth Levy, Assistant Superintendent Ian Neviaser, and acting Principal Kristina Martineau, who replaced Rice and was hired as Valley Regional High School principal on a permanent basis in April. Rice, a Chester resident, resigned as principal last October, after barely two months in the job, and received a severance package from the school district. Levy and Rice, who now works in the West Haven school district, have never commented on details of the situation. But recently released e-mails among school administrators and staff indicate that Levy and Neviaser, who served as Valley Regional High School principal from 2008-2010, had quickly become dissatisfied with Rice’s performance as an administrator after he assumed the principal job in August 2010. 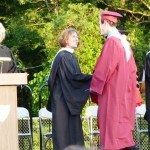 Aaron Outama, who is from Essex, graduated with the Class of 2011 on June 20, receiving his diploma from Principal Martineau. The Essex Corinthian Yacht Club will be hosting the 4th Annual Essex Harbor 4th of July Boat Parade, Monday, July 4. All interested boats are invited to join the parade and are encouraged to dress and decorate your boat and crew! Boats will marshal north of buoy G25 at 12 noon. Monitor Channel 69 for instructions. The parade will make two rounds through Essex Harbor, taking the Essex Corinthian Yacht Club to port. For questions, please contact Steve Rodstrom of the Corinthian at 207-841-2333. Essex Elementary School students presented an $8,275 check Wednesday to Sister Cities Essex-Haiti representatives (David Evangelisti, Dan Taylor-Stypa, and Denise D’Avella). The check was given during a schoolwide assembly by the students (Tiffany Kuba, Abby Monaco, Jacob Azzinaro, and Peter Fitton). The group will use the donation to build a library/community center in Deschapelles, Haiti, a community devastated by a major earthquake in January 2010. The funds were raised last month by 107 EES students during a three-week read-a-thon. 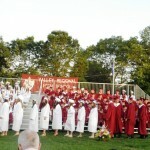 Fitton raised the most money of any student in the school. The school and PTO also held a family reading night, after-school reading sessions, and other activities. July 15: The Love Bug’s Hug Allynn Gooen and Annie Hickman combine their creative talents into an extraordinary theatrical experience. 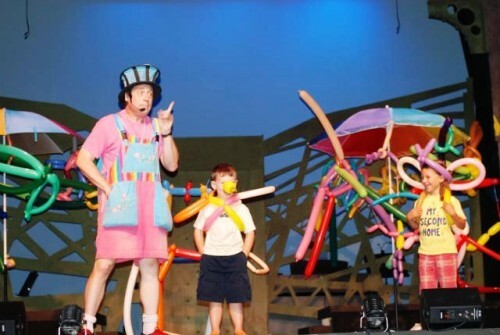 In his zany style, Allynn uses balloons to create helicopters, airplanes, scuba tanks, and more, to lead his audience volunteers on a search for a cure to cheer up a sad princess. Annie’s colorful creatures become their guides to the magical Love Bug. PreK-6. July 22: Haiku, Hip Hop & Hot Dogs Crabgrass Puppet Theatre presents Puppets Do Poetry. Imagine a symphony composed entirely by goldfish! Thrill to the adventures of “Fearless Flying Hotdogs!” Dance with the “Funky Snowman”! This exciting new fusion of poetry and puppetry includes Jack Prelutsky’s “The Goblin” (these goblins just want to have fun!) as well as poems by Nikki Giovanni, David McCord, Calef Brown and others. Remember to “Keep a Poem in your Pocket” and above all – “Do Not Approach an Emu”! July 29: Bear Tales An original story for children produced by The Madhatters Theatre Company. August 12: Bubblemania! Back by popular demand! Casey Carle performs tricky undulations, manipulations and juggling with bubbles. Children of all ages, parents and grandparents will all love this performance – this is a bubble show to keep the 5 to 75 year-olds mesmerized. Check out his website at www.bubblemania.com. August 19: Class Clown Hartford Children’s Theatre comes to Ivoryton for this very special performance. Lucas is the most rambunctious pupil in Mrs. Hockaday’s fourth grade class. He races pencils and cracks jokes when things seem a bit dull, and he always forgets to raise his hand. When his teacher sends home a note, Lucas vows to behave, though most of his good intentions quickly go awry. Based on the book by Johanna Hurwitz. All performances are at 11am. Tickets are $12 and are available by calling the Playhouse box office at 860-767-7318 or by visiting our website at www.ivorytonplayhouse.org Book early to avoid disappointment. (Group rates are available by calling the box office for information.) The Playhouse is located at 103 Main Street in Ivoryton. With the renewed prospect of further cuts in state funding, it seems very likely that elimination of the Chester-Hadlyme and Rock Hill ferries will be on Governor Malloy’s list of budget cuts which he will ask the legislature to approve. In an effort to engage public support to save the ferries there will be a public meeting on Tuesday June 28 at 7:30 p.m. at Hadlyme Public Hall, located at the intersection of Ferry Road (Rt. 146), Day Hill Road and Joshuatown Road in Lyme. Earlier this year the Hadlyme Public Hall Association paid to have a mailing list compiled of more than 800 names of those who signed petitions to save the ferries last December, and the Association will be sending a postcard appeal to that list urging them to call their state legislators. The Association has authorized the expenditure of $1,000 to cover any expenses associated with this effort. 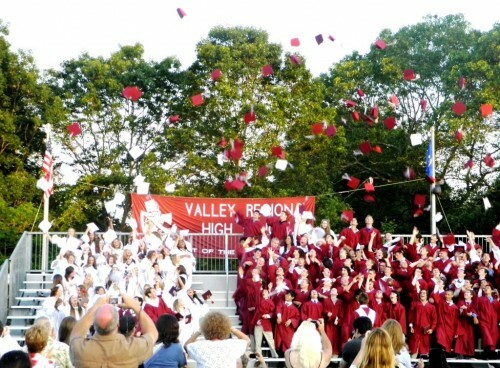 Newsweek Magazine’s June 27th edition, on sale now at newsstands, has reported that Valley Regional High School is amongst the top 12 high schools in Connecticut, and the top 500 across America this week. 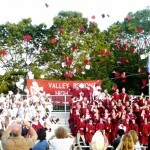 Newsweek Magazine named Valley Regional High School as one of America’s Best High Schools based on criteria such as our graduation rate, the number Advanced Placement course offered, scores received in those courses, Virtual High School courses, students attending college, SAT scores, and student/teacher ratio. 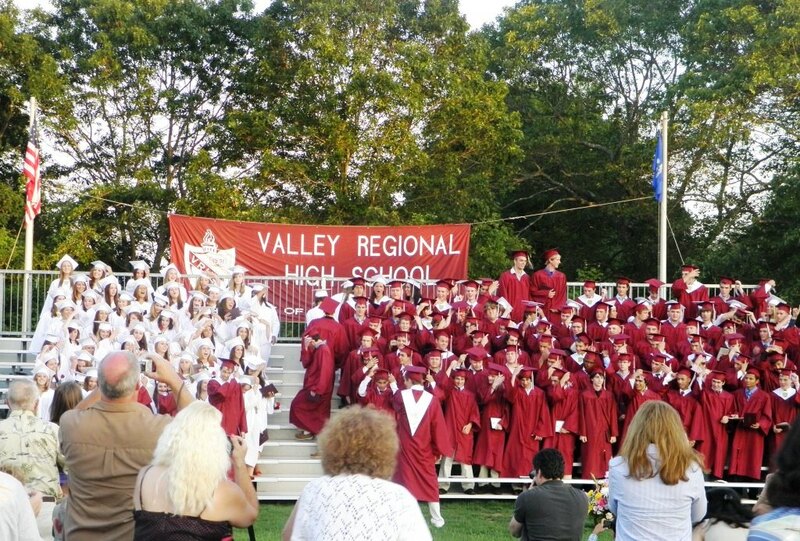 Valley Regional High School ranked 334 out of the 500 high schools named as “America’s Best High Schools.” Said Dr. Levy, Superintendent of Schools for Region 4 Schools, “ This simply states what we already knew about our outstanding schools and community. Recognition such as this are the result of the commitment, dedication, and collaboration of our students, staff, administrative team, Board of Education members, parents, and community, who all come together to provide opportunities for our children to excel in multiple venues. 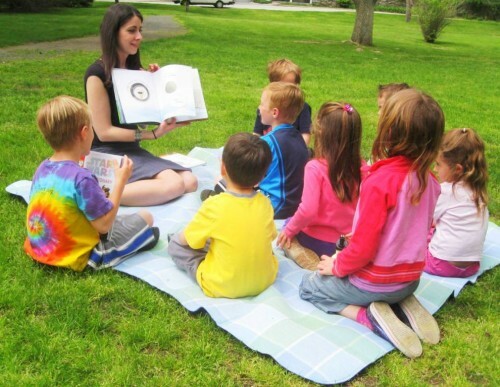 It begins in preschools and continues through our student’ educational experience, in and out of the classroom. In addition to Newsweek’s recognition, Valley Regional High School also received 1st place in the Michael’s Cup Award for sportsmanship by our Athletic Teams in our SS Class. This is a prestigious award presented by the Connecticut Interscholastic Conference. One more award came our way to end this school year. 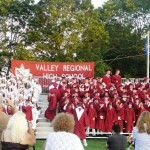 Mrs. Martineau, Principal of Valley Regional High School, wrote a grant to the Connecticut State Department of Education. We just received notification that VRHS was awarded $5000 to develop the Capstone Project as a part of High School Reform efforts. This grant will enable us to develop high school internship programs that will culminate in a senior project and be a part of our graduation requirements. The Ivoryton Playhouse will be flaunting it in full Broadway style when it opens The Producers on July 6. Complete with dancing girls and show-stopping numbers, The Producers was one of the hottest tickets on Broadway when it opened at the St. James Theatre on April 19, 2001. It featured Nathan Lane (Max Bialystock), Matthew Broderick (Leo Bloom), Roger Bart (Carmen Ghia), Gary Beach (Roger de Bris), Brad Oscar (Franz Liebkind) and Cady Huffman (Secretary). The show went on to win a record-breaking 12 Tony Awards. Producer/director Mel Brooks took a real gamble when he adapted his 1968 cult film satire to the musical stage. The story was outrageous: flop-covered theatrical producer Max Bialystock realizes the road to his financial redemption lies in producing the worst musical ever written, raising 25,000 percent of the capital, and pocketing it all when the show is a one-night-only disaster. Aided and abetted by a nebbishy accountant named Leo Bloom, Bialystock options the rights to a “gay romp with Adolf and Eva in Berchtesgarten” called “Springtime for Hitler.” Of course, if the show, by some insane stretch of credulity, were to become a hit, Bialystock and Bloom would be thrown in jail. And that’s exactly what happens. R. Bruce Connelly* and Michael McDermott* are returning to Ivoryton to play Max Bialystock and Leo Bloom. Also featuring Liz Clark Golson as Ulla, William Broderick* as Roger DeBris and Mark Woodard* as Franz Liebkind. Guilford resident Schuyler Beeman will playing the outrageous Carmen Ghia. The Producers is directed by Julia Kiley. Set Design is by Tony Andrea; Lighting Design by Tate Burmeister; Costume Design is by Vivianne Lamb. The Producers opens on July 6th and runs thru July 31st for 4 weeks. Performance times are Wednesday and Sunday matinees at 2pm. Evening performances are Wednesday and Thursday at 7:30pm, Friday and Saturday at 8pm. Tickets are $40 for adults, $35 for seniors, $20 for students and $15 for children and are available by calling the Playhouse box office at 860-767-7318 or by visiting their website at www.ivorytonplayhouse.org (Group rates are available by calling the box office for information.) The Playhouse is located at 103 Main Street in Ivoryton. The personal stories of the men of the 16th Connecticut Regiment imprisoned at Andersonville and Florence Stockades during the Civil War come to life in an illustrated talk by historian John Potter of the Connecticut Historical Society, Tuesday July 12 at 7 p.m. at the Essex Library. This talk is one of the special programs and events scheduled for the Civil War Days series the Library is presenting from July 12 through Saturday July 16, funded by a grant from Citizens Bank in observance of the 150th anniversary of the beginning of the Civil War. Potter draws on the rich resources of the Connecticut Historical Society to create a vivid picture of those who suffered in these brutal P.O.W. camps. As a historian and a Research and Collections Associate at the Connecticut Historical Society for the last two years, Potter has been studying the Civil War for over a decade now, with a special focus on the state’s involvement in the conflict. Both programs are free and open to the public. To register, please call the Essex Library at 860-767-1560, where you can also get more information on other programs and events in this series. Hailee Steinfeld stars as the feisty young Mattie Ross in the Coen brother’s remake of the Western classic, True Grit. The Essex Library summer movie series, Cool Films for Hot Nights, begins Thursday, July 7 at 7 p.m. with the delightful French comedy, The Hedgehog (Le Hérisson), based on the best-selling novel, “The Elegance of the Hedgehog”. Other films in the series include: The Coen brothers’ imaginative re-make, True Grit, Thursday July 21; Nowhere Boy, Thursday July 28, a film that reconstructs the troubled relationship between the youthful John Lennon and his estranged mother; Waiting for Superman, Thursday August 4, a searing documentary about our troubled public schools and why they’re failing, by the director of An Inconvenient Truth; Howl, Thursday, August 11 at 7, with James Franco starring as the youthful Allan Ginsberg, whose controversial poem led to a ground-breaking obscenity trial. All films begin at 7, and are free and open to the public. You can get more information or register by calling the Essex Library at 860-767-1560. In an attempt to balance the upcoming state budget, one area that will see severe cuts is the state’s Municipal Grant Program. The $4 million program, which provides funds to municipalities and transit districts for senior and disabled transportation, was reduced by 25%. At a time where the population of persons age 65 and over is expected to increase by 25% in the next 10 years, these cuts may leave many seniors and persons with disabilities stranded. 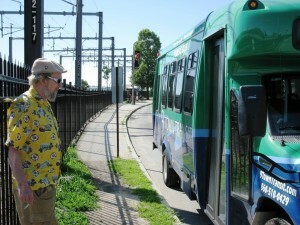 Those in suburbs and rural areas without access to public bus routes may face the largest transportation challenges, since many of these areas only transportation option is Dial-A-Ride programs funded by the Municipal Grant Program. 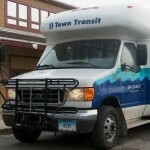 In the shoreline region, 9 Town Transit (9TT) funds 60% of its Dial-A-Ride service with Municipal Grant Program funds. Executive Director Joseph Comerford says that while 9TT has been working hard to prevent service reductions, customers will see some service cuts on Saturdays. “We were able to absorb some of the cuts to avoid disruptions to our weekday service, but the severity of the funding cuts mean we can’t get through next year unscathed,” Comerford said. Beginning July 1, 9TT will no long offer Dial-A-Ride services on Saturdays. In addition, dispatchers will no longer be available on Saturdays, meaning trips cannot be booked or bus information obtained by phone. Instead, any calls on Saturdays will be directed to voicemail and returned on Monday when the dispatch center re-opens. The Shoreline Shuttle and Riverside Shuttles will continue to run on Saturdays on the regular Saturday schedule. “We do not like the idea of not providing customer service by phone when we are running bus service on Saturdays, however it was the only way to avoid deeper service reductions which would have impacted weekdays, when the majority of our customers travel,” says Comerford. Comerford said that although no one will be available to answer routine calls on Saturday, customers will be able to contact a manager in an emergency situation during the hours of bus service and trip reservations may be made 24 hours a day, 7 days a week online at www.9towntransit.com. He also said that 9TT will closely monitor the budget throughout the year and make additional cuts to the Dial-A-Ride program if necessary to remain within budget unless the state can find the funds to restore all or part of the cuts. 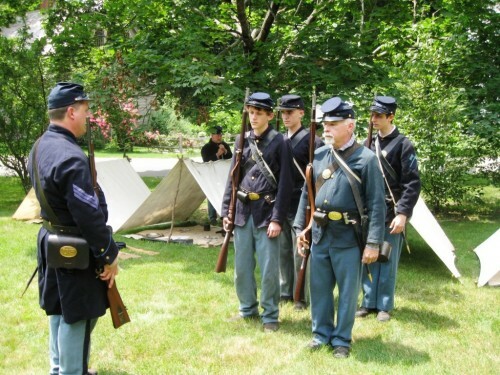 The 150th Anniversary of the start of the Civil War is the theme for a series of special programs for the whole family at the Essex Library, Tuesday, July 12 through Saturday July 16. Funded by a generous grant from Citizens Bank, events include crafts classes for kids, scholarly talks on Connecticut’s place in Civil War history, period music performances and more. And stop by the Essex Library to view local artifacts of the period – including swords and other military gear, photographs, and a lady’s fancy bonnet – on loan from the Essex Historical Society. All events are free and open to the public; please call the Essex Library at 860-767-1560 for more information or to register. Tuesday July 12: Discover Art and Secret Codes of the Underground Railroad, 3:30-4:30 p.m.. Join us for a kids’ class with community favorite Carol Young as we discover art and secret coding used during the Civil War and Underground Railroad. Carol is a retired art teacher and now works with the Essex Historical Society. “It Was theHardest Trial of my Life”: The 16th Connecticut Regiment and its Imprisonment at Andersonville and Florence Stockades, 7 p.m.: an illustrated lecture by Connecticut Historical Society scholar John Potter about a harrowing and little-known aspect of Connecticut soldiers’ wartime experience, that draws on the extensive archives of the CHS. 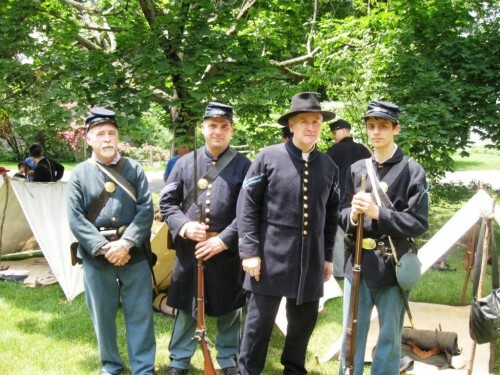 Wednesday July 13: Family Films: Soldiering Through History: the Civil War, will be shown at 1 p.m. Packed with educational content, this film explains the uniforms & equipment of the Civil War soldier, and uses living history techniques to illustrate the basic activities of the infantryman during one of the most important periods in American history; great for the entire family. Following it at 3 p.m., we’ll screen Little Women. With their father away fighting in the Civil War, Jo, Meg, Beth and Amy grow up with their mother in somewhat reduced circumstances. Based on the classic novel, this film depicts the closeness that ties the family who inevitably suffer through squabbles and tragedies. Their bond holds even when, later, changes begin to take part in their household as the characters grow into adulthood. Rated PG. 115 min. Thursday, July 14 at 7 p.m.: Letters Home; the Letters of Private Henry Brown, presented by John Proctor. A dramatic and moving illustrated talk about the wartime experiences of one young soldier, as seen through his letters to his father, performed by this local Civil War buff (and relative of young Brown) John Henry Proctor. Friday, July 15 at 12 to 4:30 p.m., it’s our Gone With The Wind-a-Thon! Watch this classic film while munching delicious ham biscuits and sipping sweet tea, just like Miss Scarlett. Hoop skirts and/or beaver hats optional. 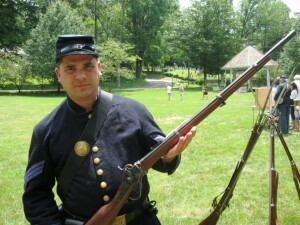 Saturday, July 16, brings two family-friendly events; 10 – 11:30 a.m.: Civil War Fashion Show with Kandy Carle. Ms. Carle takes her audience on a journey of discovery by using clothes and fashion as a tool. Throughout the presentation she shares insights into clothing, lifestyle, manners and etiquette of men, women and children. Included are interesting anecdotes and ‘myth busters’ for the Civil War time period. The performance is full of audience interaction and is geared toward participants aged 8 and up. Ms. Carle is Artistic Director of the East Haddam Stage Company. 12:30 – 2 p.m., it’s The Greatest Hits of the Civil War: America’s Earliest Professional Songwriters with Rick Spencer. At the Main Street Park Gazebo in downtown Essex (rain location: The Essex Library Program Room). This entertaining and educational music program presents songs that were among the most popular of the era. The years just prior to the War were times of remarkable cultural development in America. Writers like Daniel Decatur Emmett (“Dixie”), Stephen Foster (“Oh Susanna”), George F. Root (“The Battle Cry of Freedom”) and Henry Clay Work (“Kingdom Coming”) composed songs which became the great “pop hits” of the 1860s. 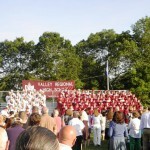 On Monday, July 4, 2011, The Rotary Club of Chester will sponsor its 33nd annual Four on the 4th Road Race. The start time for the race has been moved to 9:00 a.m. This year’s event will once again make use of state of the art chip timing. The scenic, rolling course that loops its way around and through the quaint Village of Chester is USATF sanctioned and measured. The start time will be 9:00 a.m. sharp. Prizes will be awarded to the 1st, 2nd, and 3rd place female and male runners in all divisions. As in past years, food and soft drinks for participants and spectators will be available from the Chester Hose Company. Beer will once again be available at the Rotary sponsored beer tent. Entertainment will be provided by the Side Doors. This popular event is a Chester tradition that should not to be missed! Entry forms, the link to on-line pre-entry through www.Active.com and race information for this year’s event are available at the club’s website, www.chesterrotary.org. Entry forms are also obtainable at various merchant locations in Chester. The entry fee is $20 for pre-registration before June 20th and $25 thereafter and on race-day. We encourage participants to pre-enter on-line. On-line registration will be open until 9pm on July 2, 2011. Race day registration for all participants will take place between 7:30am and 8:30am at St Joseph’s Parish Center on Middlesex Avenue (Rte 154) in Chester. On race day, all entrants will receive an official Chester Road Race T-shirt and a complimentary drink ticket for use after the race. Please note that Main Street in Chester will be closed at 8:00 am on race day. Information, including any detour and parking data will be available on-line at the club’s website, www.chesterrotary.org. Come and meet a diversity of Animal Embassy’s live Animal Ambassadors at Deep River Public Library on Thursday, July 7 at 5 p.m. Learn how each of their habitats provides them with all that they need to survive: food, shelter, water air and space. Discover how animals adapt to the unending challenges in their own unique ways. Through this interactive, educational and entertaining program, library patrons will meet a variety of animals from around the world, representing diverse habitats and reflecting the amazing diversity of life on earth. For more info please call 860-526-6039. Maryanne, who resides in Bolton with her husband, Robert, has owned her own businesses for over thirty years, but retail is a new adventure for her. “We love the shoreline and the opportunity to open here aligned perfectly with our timing. 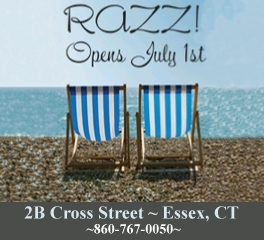 We are really excited about this!” RAZZ! will feature a wide array of items for adults and children, including boaters and dog lovers. “Essex has some great established businesses that we intend to compliment,” said Edwards. RAZZ! will be open according to the general business hours in the village; however, will extend their hours for village activities such as the concert series and other events. ESSEX— The board of selectmen has approved a plan to install new energy-efficient windows on the north side of town hall. The board acted last week after receiving an update from Frank Hall, a member of the local energy advisory committee. Hall said the town has $27,832 remaining from a $44,000 state grant awarded previously for energy efficiency improvements at the town hall. Hall said the lowest bid submitted for the window replacement was $30,099. Hall said reducing the number of windows designated for replacement from 14 to 13 could reduce the cost of the project to the amount of the available grant funds. The selectmen agreed to seek input from the board of finance on how to complete the window replacement using only the grant funds, or whether to consider spending town funds to cover the small difference between the grant amount and the bid price. Selectmen also discussed the option of converting the former judge of probate office in to an improved emergency operations center for the town. The office with a separate entrance on the west side of town hall has been vacant since the opening of the new regional probate court in Old Saybrook last January. William Buckridge, the town’s emergency management coordinator, said the town has applied for a $50,342 grant that would cover the most of the expense of converting the office after a $12,585 town match. The board agreed to await word on the grant award before discussing the next step for the office conversion. 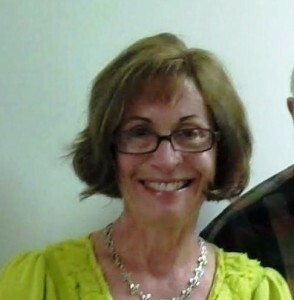 Tri-Town Youth Services’ 2011 Generativity Award Recipient is Linda C. Hall. David and Linda Hall have resided in Deep River since 1978. Linda’s career of working with children began in 1987 when she started as an assistant teacher at CDE Nursery School. After a few years, the Director left and Linda was promoted to Director and Head Teacher, a role she has held and loved ever since. For close to 18 years, Linda has lead groups at the Deep River Public Library in the summer. For all she has given to many generations of children, Tri-Town Youth Services is pleased to honor Linda Hall. The Deep River Rotary Club again will mark Independence Day with a solemn yet joyous celebration for the public. It has become a Fourth of July tradition in town, unique in the area, it seems. As in the past it will take place at 10 a.m. at the Keyboard Park Gazebo on Main Street. Free as always. It will open with the the Salute to the Flag and the National Anthem. 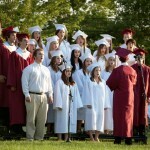 There will be patriotic songs and fife and drum music–so natural in Deep River, famous as the capital of such music. A few brief excerpts will be read from the Declaration of Independence, the Constitution, and the Bill of Rights, our country’s greatest documents–the documents which make our country the greatest in the world and guarantee us our precious freedoms. Then, in full sight of all, the Liberty Water Fountain out in Keyboard Pond will be re-started. Its plume of water will shoot up as a salute to our country on this, its 235th birthday, with lots of cheering. Hand flags will be given out to hold throughout and take home as a souvenir. There will be plenty of penny candy for the kids. All are welcome at this family event, including folks from other towns. Veterans especially, and Rotarians from anywhere. 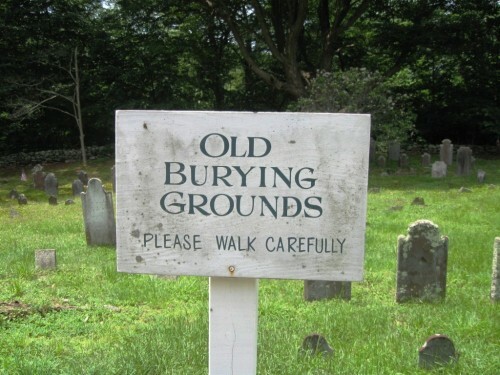 Feel free to bring a chair. REGION 4— The Region 4 Board of Education has selected Matthew Talmadge, a music teacher, as the new associate principal at Valley Regional High School. Talmadge was unanimously selected by the board after an in-depth interview conducted at a special meeting last week. He assumes the position on July 1. Talmadge is the permanent replacement for Kristina Martineau, the previous associate principal who was named acting principal at the high school last October and hired as principal on a permanent basis in April. Talmadge has served as a music teacher for the high school and John Winthrop Middle School for the past four years. He began his career as a teacher and band director at schools in New Mexico. Talmadge received a B.A. degree and an M.A. degree in Music Education from the University of New Mexico. 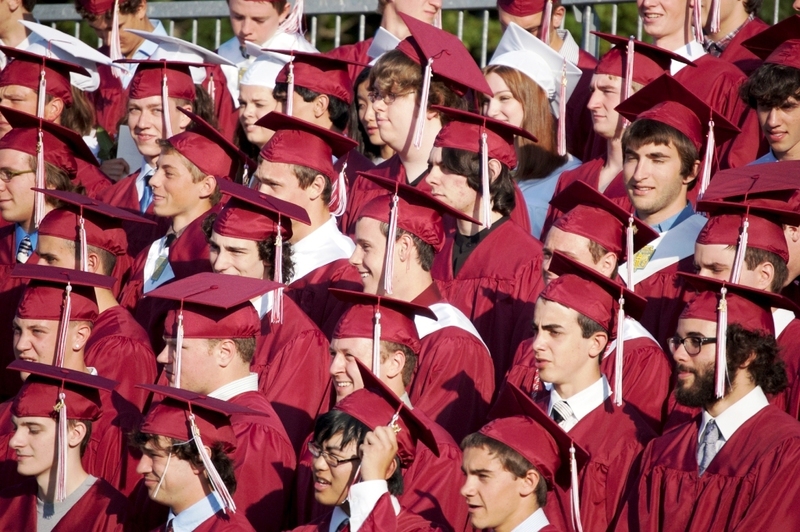 He is currently completing his Sixth Year Degree in Educational Leadership at the University of Connecticut. Superintendent of Schools Ruth Levy said Talmadge was selected from a field of over 50 applicants. She said the school board was impressed with his “overall knowledge, commitment to excellence, strong leadership skills, exceptional personal style, and enthusiasm for the students at Valley Regional High School.” Talmadge lives in the Ivoryton section of Essex with his wife and daughter. Essex, CT – The Incarnation Family of Camps, Pequot Sherwood day and overnight camps, and Bushy Hill Camp in Ivoryton, are bringing Sharon Katz & The Peace Train to perform on Thursday evening, July 7, at St. John’s in Essex. The concert is at 6:30 p.m. and is free and open to the public. The Incarnation Family of Camps is celebrating their 125th summer as the country’s oldest co-ed camp. A free will offering will provide scholarships to campers this summer. 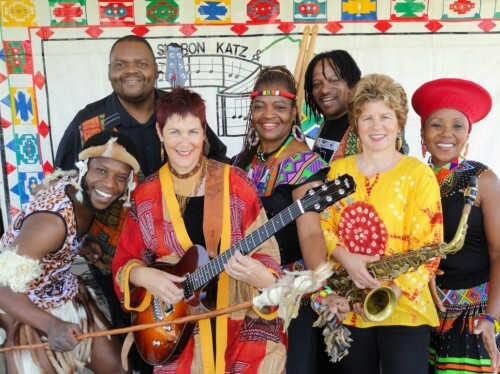 Nominated for the Grammy’s “Best World Music Album” list for their first US release, the exhilarating, multicultural, South African band of Sharon Katz & The Peace Train helped Nelson Mandela usher in the ending of apartheid. Making history in 1992 with her 500-voice multiracial choir, Sharon then organized a courageous tour on board a train – The Peace Train – taking 150 musicians and her friends Ladysmith Black Mambazo across South Africa to spread their musical message of peace and reconciliation in advance of Mandela’s selection as the country’s first democratically elected President. With CNN’s coverage and an invitation to perform at the New Orleans Jazz & Heritage Festival, Sharon Katz & The Peace Train were propelled into an international career that has spanned three continents and coast-to-coast US appearances. Now based in America, the versatile group of musicians, singers, dancers and workshop leaders thrills crowds of all ages and sizes in intimate venues, performing arts centers, schools, festivals and stadiums. They take audiences on a joyride from the traditions of Mother Africa to the electrifying jazz-folk-rock fusions of today, with the band’s driving beat, powerful dances and compelling harmonies leaving everyone standing on their feet cheering for more. St. John’s Episcopal Church is located at Cross & Main Streets in Essex. 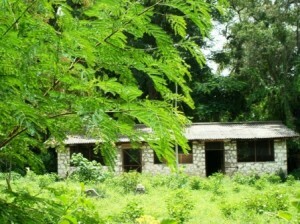 For more information on the Incarnation Family of Camps visit www.incarnationcenter.org. For more information on Sharon Katz & the Peace Train visit www.SharonKatz.com. Mark your calendars for July 7 and come enjoy the music! The Estuary Council of Seniors 220 Main St. Old Saybrook is hosting a Hoedown Pot Luck Dinner on June 30 at 5 p.m. Wear your cowboy boots and bring your favorite side dish and lawn chair. Music by “ The Country Duo” dessert will be provided by Mount Saint John School. If it dares to rain the event will be held in the dining room. To participate in this event please call Deb at 860-388-1611 by June 23. Retired science high school teacher Bob Ballek will give a talk at Deep River Public Library on June 28 at 7 p.m. on the benefits of solar energy. Global warming caused by human release of greenhouse gases is undeniable. What can you do to help stop global climate change and reduce our dependence on fossil fuels? Retired high school science teacher, Bob Ballek, will explain why now is the time is right to GO SOLAR. Bob will show how current technologies for solar hot water and photovoltaic production of electricity are clean, attractive, and affordable. Ballek will share his experiences and explain various considerations such as site analysis, cost/payback timeframes, and federal/state incentives (leasing options, tax credits, and rebate programs) that are currently available for residential, commercial, as well as non-profit entities. Find out what you can do to help save the environment and save yourself money in the long run by GOING SOLAR. For more information please call the library at 860-526-6039. 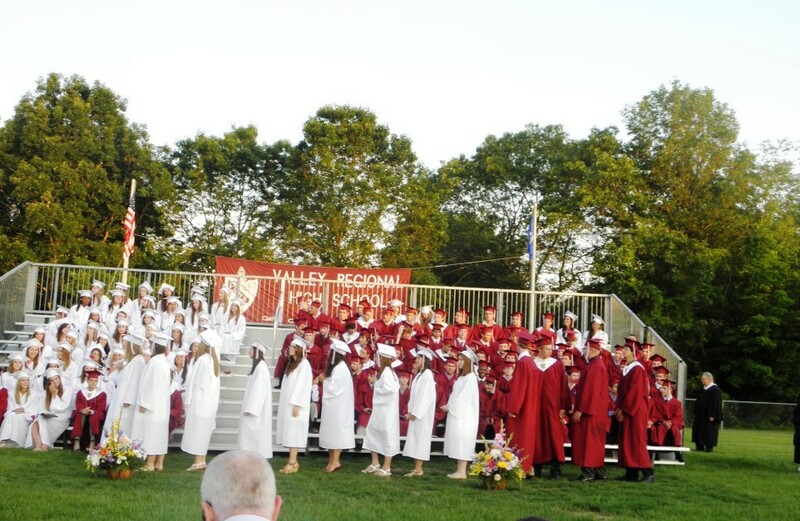 DEEP RIVER—Valley Regional High School graduated 151 seniors from the Class of 2001 Monday in the school’s 60th annual graduation ceremony. 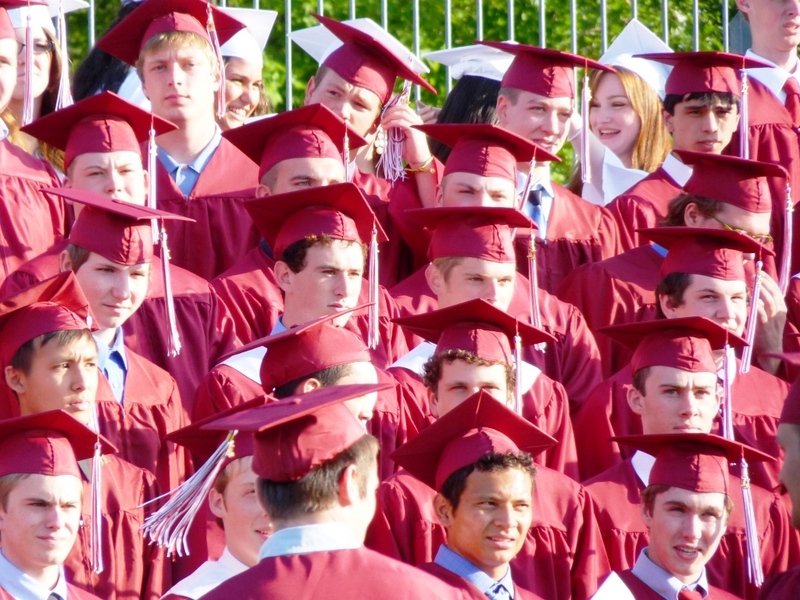 A crowd of hundreds of family members and friends of the graduates gathered under sunny and cloudless skies for the ceremony on the southeast side of the school grounds. 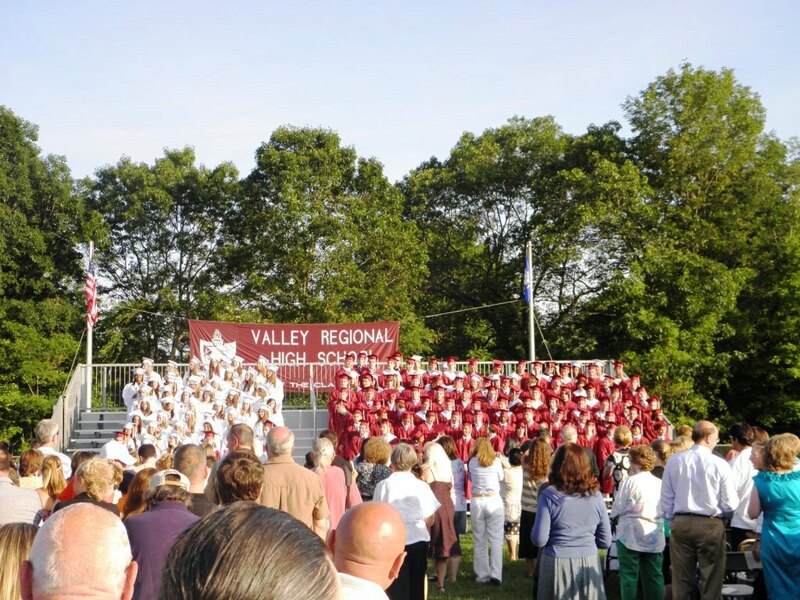 Two local residents who were there for the founding of Valley Regional High School in 1952 were recognized to cheers from the crowd — Harry Archambault, the Chester insurance man who chaired the high school building committee and the Region 4 Board of Education, and Daniel Connors of Deep River, who served as a social studies teacher at the high school for more than two decades. 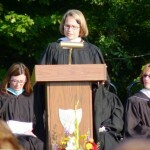 Superintendent of Schools Ruth Levy praised the Class of 2011, and announced that she had learned Monday the school is one of a dozen Connecticut high Schools included on the Newsweek magazine’s list of 500 best high schools in the United States. 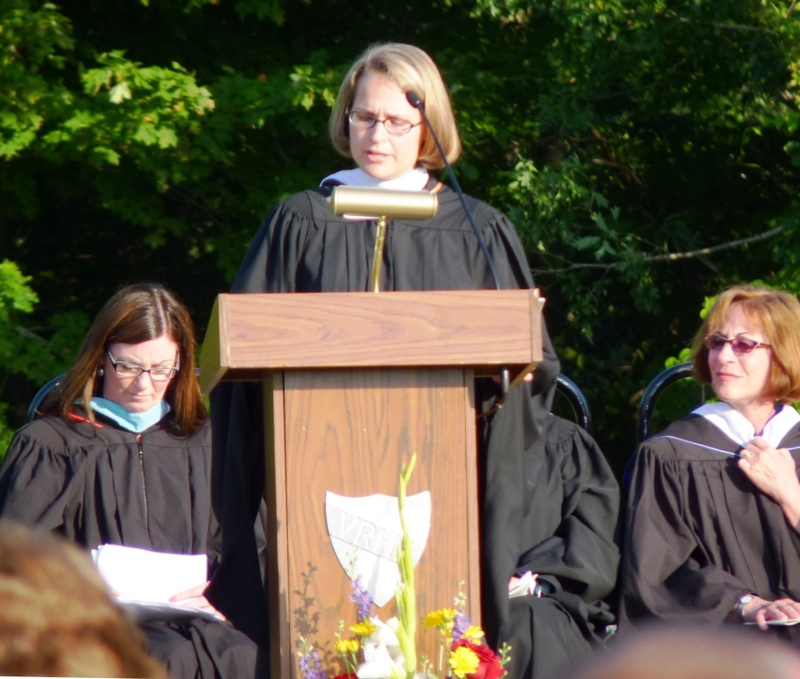 “Whether in academics, in sports, in the arts, or simply lending a helping hand or kind word to someone, each of you has left an imprint in our schools,” she said. 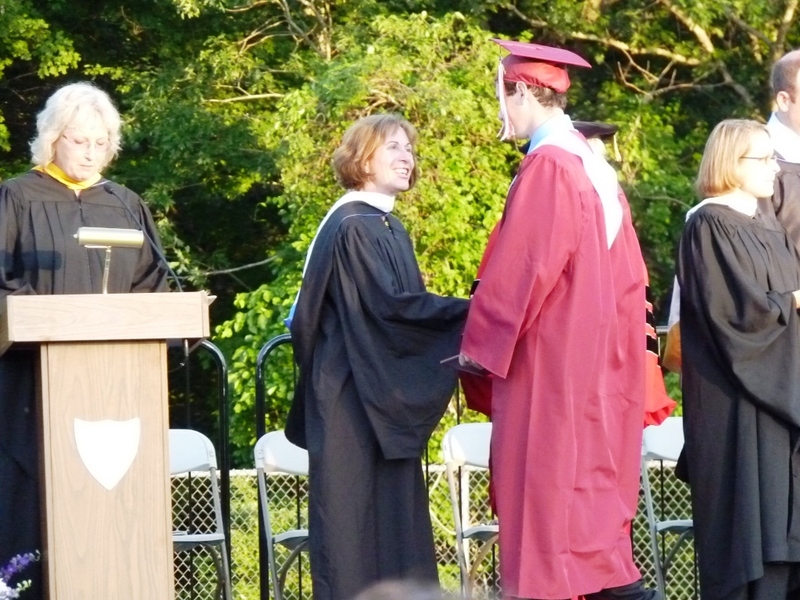 Salutatorian Patrick Campbell noted the experience of four years at Valley extended beyond classroom learning. “The most important lessons were not stated facts, but rather universal truths, basic principles for how to interact with other people, for how to be successful in life,” he said. 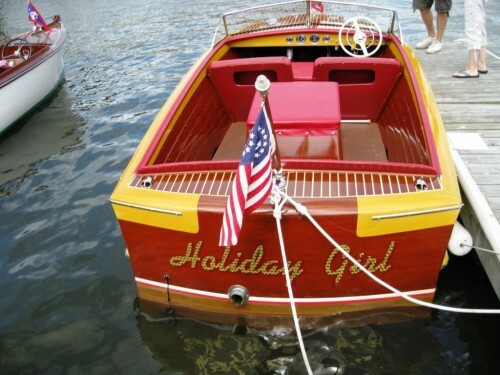 Holiday Girl is just one of the “Nifty Fifties” boats to be featured at the 27th Annual Mahogany Memories Antique & Classic Boat Show at the Connecticut River Museum on Saturday, July 9 from 9 am – 4:30 pm. Admission is free. 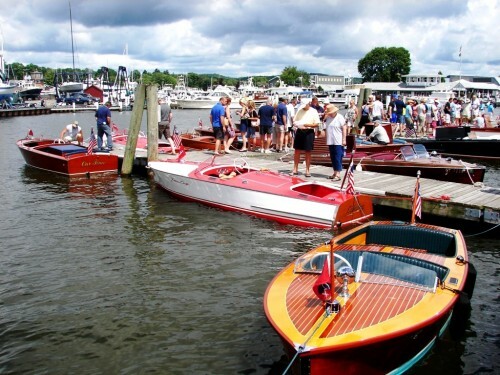 Essex, CT – The Southern New England Chapter of The Antique and Classic Boat Society will present the 27th annual “Mahogany Memories” boat show on the grounds and docks of the Connecticut River Museum on Saturday July 9 from 9:00 am to 4:30 pm. Admission is free. The show will feature numerous examples of the finest classic wooden and fiberglass boats commonly seen in this area in the last century. Boats built by Chris Craft, Century, Lyman, Gar Wood, Elco and many more will be showcased. Also for this year, boats of the 1950’s will be the featured marquee class, representing a time of post war prosperity and social and economic growth in the country that made the boating hobby affordable and accessible by everyone. The decade started with runabouts and utilities with large underpowered engines and blonde decks, to boats manufactured at the end of the decade with high powered engines, fins with aerospace inspired designs, specialty ski boats and even the advent of new materials such as fiberglass and the wider use of aluminum. Boat owners will be on hand to talk about their boats, exchange ideas and share the joys of using and preserving these beautiful “woodies” and other memorable classics. In addition, marine supplies, clothing and boat merchandise will be available for purchase and a raffle will be held at the end of the show. 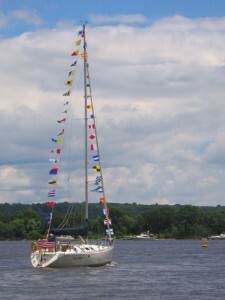 This year’s sponsors include Antique Boat Center, Ashcroft Inc., CCJ, Clark Group, Connecticut River Museum, Essex Savings Bank, Hagerty Collector Boat Insurance, Heritage Marine Insurance, ki Advertising, Middle Cove Marina, New England Chrome Plating, Pusser’s Navy Rum, Schick-Wilkinson Sword, and Soundings. Even though some of their uniforms did not quite fit, and their skills in short order drill left something to be desired, the dozen of uniformed “reenactors” that mustered on the Chester Town Green for the 150th anniversary of the Civil War last Saturday brought home at least some of that war’s terrible reality. The troops on hand carried the name and the colors of the 14th Regiment of Connecticut Volunteers, and they consisted of both privates and non-commissioned officers. The squad leader of Company G was Sergeant Tad Sattler of East Hampton, and he was well informed about his unit’s role in the Civil War. He pointed out that Connecticut’s 14th Regiment was right in the thick of the fighting at the decisive battle at Gettysburg. In fact, the regiment met head on the brunt of the Pickett’s charge, and played a crucial role in defeating the Confederates at Gettysburg. Members of the 14th were positioned in what historians call “the “angle” of the attack. What contributed greatly to the regiment’s success in the fight was the newly acquired breech loading rifle. These Sharpe’s rifles, as they were called, were made in Connecticut and could fire far more rapidly than the traditional muzzle loading riffles. In fact, according to Sergeant Sattler, the new breech loading rifles could fire more than twice as fast as the old muzzle loaders. Soldiers firing the Sharpe’s rifles worked in teams of two. While one was firing his rifle, a second was loadings his, loading and firing repeatedly. The effect was a constant stream of fire. 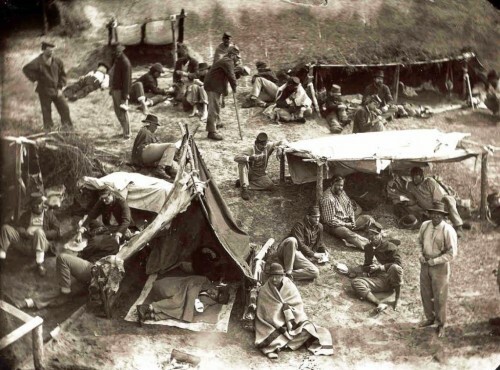 After the Confederate soldiers surrendered, they told the Connecticut volunteers that they thought they were vastly outnumbered, so intense had been the Union fire. But that was not the case. At battle’s end 125 Connecticut soldiers took as prisoners 350 Confederate soldiers and collected five rebel battle flags. According to the author, 55,000 men from Connecticut enlisted in the Union army during the Civil War. That was close to 12% of the state’s total population, and 47% of the men in Connecticut who were of military age. 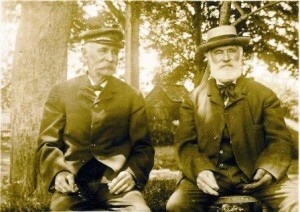 Dr. Warshauer stressed that the primary motivation of Connecticut troops going to war was not about slavery but rather to save and maintain the Union. “Freeing the slaves was not the Connecticut soldiers’ cause,” the author said. One of the primary characteristics of the Civil War was “the massive number of men,” the author said. To win the war General Grant abandoned set pieces of battle, which had a beginning and end, and adopted instead a constant war of moving forward with his numerically superior number of men. Even more than important than providing soldiers for the war, was Connecticut’s role an arsenal for the Union in the manufacture of weapons, such as Colt guns, cannons, cannon balls and artillery. The author also made the point that more soldiers died in the Civil War from dysentery and decease than from battlefield injuries. In total 600,000 soldiers died in the Civil War. There was also a discussion of the role of black soldiers fighting for the Union. The author described shocking instances when Confederate soldiers, carrying out the orders of Confederate President Jefferson Davis, shot and killed black soldiers who had surrendered their arms. 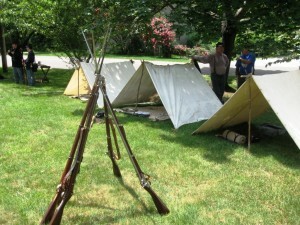 One interesting coda to the Civil War events, sponsored by the Chester Historical Society, is the fact that there is one Union Soldier buried in the Old Burying Ground off the Chester Green. He was an African-American, whose name was Chester Brooks, according to a local historian in attendance. The North Deck of the Connecticut River Museum and the Schooner Mary E are where it’s at for music, cocktails, and a taste of waterfront history. 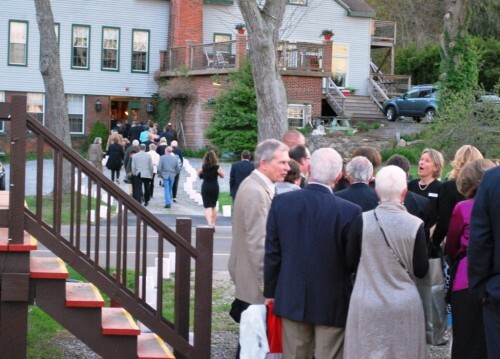 Essex, CT – Gather your crew and head down to the Connecticut River Museum at Steamboat Dock in Essex on Thursday evenings for cocktails and music overlooking historic Essex Harbor. Back by popular demand for a fourth summer season, “Thursdays at the Dock” extends the Museum’s daily hours by opening the first floor galleries, museum shop and North deck from 5:30 pm to 7:30 pm starting on July 7 and running through September 1. All are invited to sample the River’s great heritage and natural beauty while enjoying music and refreshments on the waterfront. Each week, featured area musicians perform a diverse mix of maritime folk, bluegrass, folk rock, and other popular styles. A reduced admission price of $5 per person will be charged, Museum members are admitted free. Cash bar and light snacks will be available. Thursday evenings are also are great time to take a sunset sail aboard the historic schooner Mary E. Departing from Steamboat Dock at 6 pm daily, the 2-hour cruise is a unique way to experience New England’s Great River. Bring a picnic supper and your favorite beverage. For more information on Thursdays at the Dock or to reserve your spot on a sunset cruise, go to www.ctrivermuseum.org or call 860-767-8269. 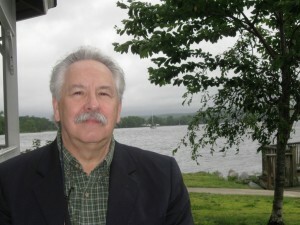 The Connecticut River Museum is located at 67 Main Street on the historic waterfront in Essex, CT.
Tom Marsh Leaving as Chester First Selectman Aug. 1 to Become Town Manager of Windsor, Vt.
CHESTER— First Selectman Tom Marsh will resign effective August 1 to become the appointed town manager in Windsor, Vermont. Marsh, who has served as first selectman since 2005, announced his plans at a special meeting of the board of selectmen this week. Marsh said Thursday he had decided last December that he would not seek re-election for a fourth term this year, and began applying for town manager jobs in various New England towns in February. Marsh said he learned in May that he was a finalist for the job in Windsor, and interviewed for the position on May 20. Marsh said he was notified on June 7 that the town’s five-member board of selectmen had voted to offer him the job. Windsor is a town of about 3,800 people, located on the Connecticut River about 15-miles south of White River Junction. The town has about 40 employees, more than Chester, including a police department with about 15 full or part-time officers. Marsh, a married father of three, said he and his wife, Kathy, had purchased a foreclosed house in Windsor, and would put their home on Route 145 in Chester on the market next year. Marsh said it would be a “stretched out transition” for the family because Kathy intends to complete her term as Republican registrar of voters for Chester that expires in November. Marsh, a 21-year Chester resident, said he would miss the town, noting that his children attended Region 4 schools and his parents are buried at the St. Joseph Cemetery. “Chester will always be a home to me,” he said. Marsh, a Republican, was elected in 2005, defeating six-term Democratic First Selectman Martin Haft by a narrow margin. He was re-elected wide margins, defeating Democrat Justin Good in 2007 and Democrat Charles DellaRocco in 2009. Last year, Marsh announced a long shot bid for the Republican gubernatorial nomination, but later decided to change his voter registration from Republican to unaffiliated to run for governor under the banner of the Waterbury-based Connecticut Independent Party. Marsh received 17,629 votes for governor on the Independent line last November, and later rejoined the Republican Party. Under state law, Republican Selectman Tom Englert and Democratic Selectman Larry Sypher will have 30 days after the Aug. 1 resignation to appoint an interim first selectman who would serve until the end of the current term on Nov.22. If Englert and Sypher cannot agree on the appointment by the end of August, the selection would go to a committee of Republican town elected officials that would be comprised on two people, Englert and Kathy Marsh. 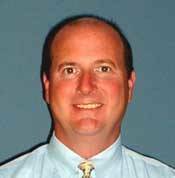 Marsh said Englert, an employee of Whelen Engineering who was elected as his running-mate in 2009, will seek another term on the board of selectmen, but is not interested in serving as first selectman. 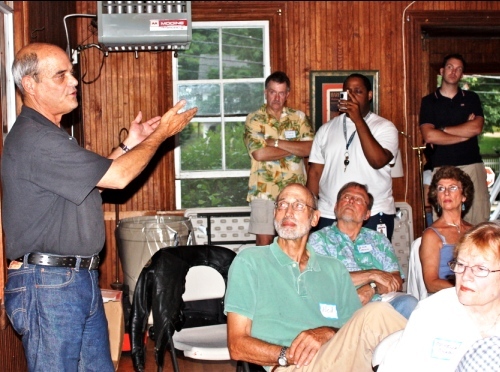 No candidates have announced their intention to run for the Democratic and Republican nominations for first selectman that will be decided at party nominating caucuses held between July 19-26. The municipal election will be held on Nov. 8. Marsh said he is hopeful the two selectmen can agree on an interim replacement to help insure a smooth transition during August. He said the board of selectmen would discuss the situation at its July 5 meeting, with the name of a potential interim replacement possibly being announced before the meeting. Deep River resident John Kennedy, who is frequently involved in environmental causes, has called on Governor Dannel Malloy to veto a bill that would permit a swap of the entire 17.4 acres of the state owned Clark Creek Wildlife Management Area in Haddam, for 87 acres of privately owned woodlands in Higganum next to the Cockaponset State Forest. There is no money involved. It is a simply a swap of one piece of land for another. The bill that would permit this unique proposition was sponsored by State Senator Eileen Daily (D) of Westbrook, and it had overwhelming support in both houses of the legislature. However, in addition to Kennedy, the bill has also aroused strong opposition by environmental groups. Opponents include the local Land Trusts of the towns of Essex, Deep River and East Haddam, as well as the Connecticut Land Conservation Council, the Connecticut League of Conservation Voters, the Sierra Club, Audubon Connecticut, the Citizens Campaign for the Environment, the Connecticut Fund for the Environment, the Citizens for the Protection of Connecticut Public Lands and the Connecticut River Gateway Commission, among other conservation groups. Also, 600 people from 50 towns in Connecticut have signed a petition against the land swap legislation. In addition, local State Representative Phil Miller of Essex has strongly opposed the legislation. However, the Land Trust in Haddam, where the Clark Creek wildlife area is located, has not taken a public position on the issue. The land of the Clark Creek Wildlife Management Area involved in the swap is located directly upland from the Eagle Landing State Park and has a sweeping view of the Connecticut River, the Haddam swing bridge and the Goodspeed Opera House. The wildlife area is also a prime habitat for flora and fauna, a quality that was acknowledged by the state, when it purchased the property back in 2003. At the time the state paid $1.35 million to purchase the Clark Creek property. However, according to swap critic Kennedy, the woodlands property in Higganum that would be swapped for the Cross Creek property cost only $428,000. “In other words, the bill would authorize the swap of property that cost the state $1.35 million for property that cost the of the owner of a woodlands property in Higganum only $428,000,” Kennedy points out. In addition, the money funding the purchase of the Clark Creek property back in 2003 was taken from the state’s Recreation and Natural Heritage Trust Fund. “Swapping away the Clark Creek land has nothing to do with the trust fund’s objectives,” says Kennedy. Kennedy asserts that the “hidden hand” behind the entire land swap legislation is the Director of the Goodspeed Opera House, Michael Price. Kennedy says that Price wants eventually to build a new opera house on the new swapped land, which happens to be located close to the Goodspeed railroad station, presently used only by the Essex Steam Train. Looking ahead, any development on the newly swapped Clark Creek land in Haddam could obviously make use of the already existing track from the Goodspeed rail station to Essex. Then, with a few modifications down the line, the train service could also be extended to Old Saybrook on an upgraded, existing track and right of way. From there, passengers would only have to cross the tracks to catch the Shoreline East train out of Old Saybrook bound for New Haven, with a subsequent connection on MetroNorth all the way to New York City. But for all this development dreaming, it would first be necessary to reject the arguments of the very passionate opponents of the swap, among them John Kennedy of Deep River and his environmental allies. Whether their arguments and passion will convince the Governor to veto the “swap bill” at this point is an open question. 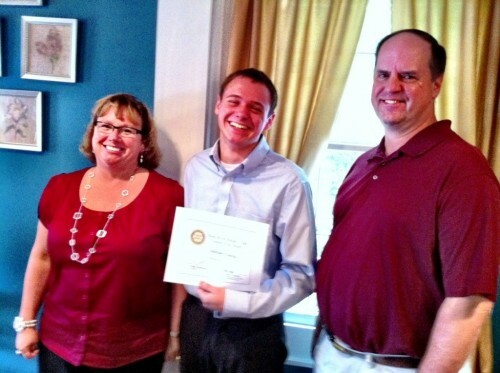 Deep River Rotary Club presented its final “Student of the Month Award” on Tuesday to Stephen Klinck. Stephen was joined by his parents, Janet and Philip as well as Valley Regional High School’s Social Worker, Mr. Brad Pitman. Stephen received his award, a $50 savings bond – a book will also be donated to the Deep River Public Library in his name. 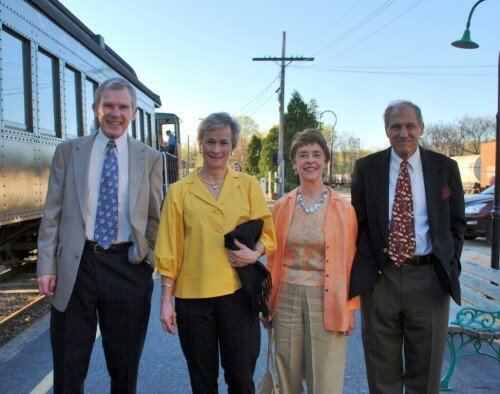 Left to Right: From the Essex Rotary Club: Incoming President Glenn Herman; President John Mulligan; Diana Harbison, Director; Bake Master Joseph Shea. 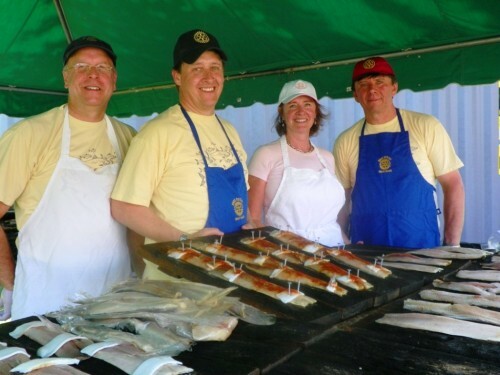 About 450 people recently attended the 53rd Annual Shad Bake and Family Day which recently took place at the Essex Elementary School in Centerbrook, Connecticut. “This year’s event was a nice success,” said Bake Master Joseph Shea. 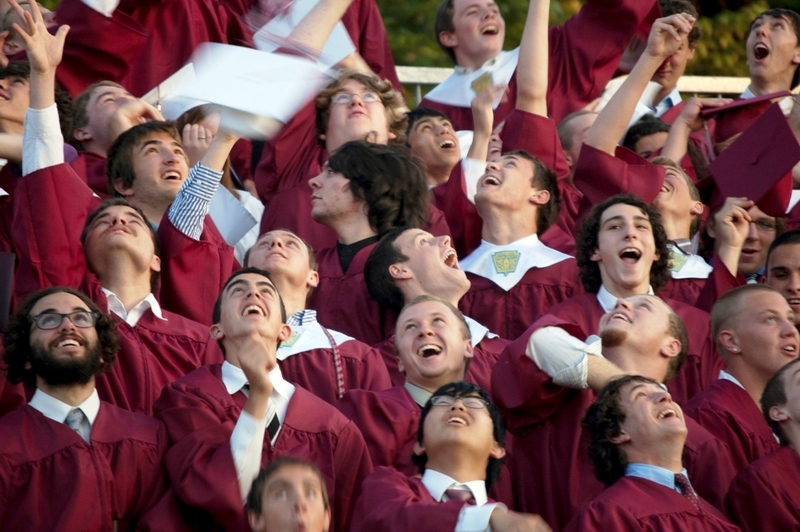 “We invite everyone to join us next year and participate in this great Connecticut tradition which kicks off the start of summer. 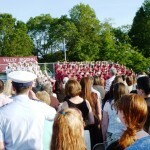 We encourage people to buy their tickets early by login on to essexrotary.com,” added Shea. The Shad Bake and Family Day has established a reputation as one of the most anticipated events in the Connecticut shoreline. The event is one of the major fundraisers organized by the Essex Rotary Club. Essex Rotarians are dedicated to raising funds for their community and all proceeds from the event will go to the Essex Rotary Foundation which supports the Club’s various charitable endeavors including scholarships for area students, as well as a variety of local, national and international assistance projects. 2011 event sponsors included AJ Shea Construction LLC, AAM (Advisors Asset Management), Jeffrey N. Mehler CFP LLC, Gerald S. Tarre, and Wells Fargo. 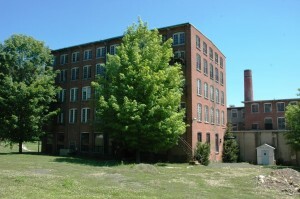 ESSEX— There was no sale Thursday at the auction of the former Pratt, Read & Company piano factory complex in Ivoryton, but a sale of the historic property is possible with the sole bidder. The 18.5-acre parcel with a seven-building, 150,900 square-foot red brick factory complex was put up for auction Thursday by the current owner, Piano Factory Business Park of Windsor, Vt. The complex, mostly constructed in the late 19th century, was the home of the Pratt, Read & Company piano works that turned African ivory in to piano keys and gave the village of Ivoryton its name. Most of the complex has been vacant since the late 1980s. There was only one bidder Thursday at the auction conducted by the Aaron Posnik auction firm of Springfield, Mass., Evan Blum of Irreplaceable Artifacts. The company, with retail sites in New York City and on Main Street in Middletown, recycles and sells ornamental artifacts and furnishings from historic buildings around the northeastern states. Auctioneer Corey Fisher started the bidding at $350,000 after announcing the auction was a “confirmation sale,” with representatives of the owner, who were present at the auction, having a minimum sale price in mind. After Blum bid $300,000 for the property, Fisher announced there would be no sale because Blum’s bid did not meet the owner’s confirmation price. The auction was over in less than ten minutes, but Blum then spent several minutes conferring with representatives of the owner after the auction ended. Blum said he expects to negotiate a sale with the owner, possibly by the end of the month. “I wasn’t going to sell at $350,000,” he said. Blum said he believes he has “the ideal use,” for the historic complex as a storage and possible sales site for the tens of thousands of ornamental architectural remains, artifacts, and furnishings acquired and owned by his business. Blum said he would retain most of the structures if he is able to purchase the property. 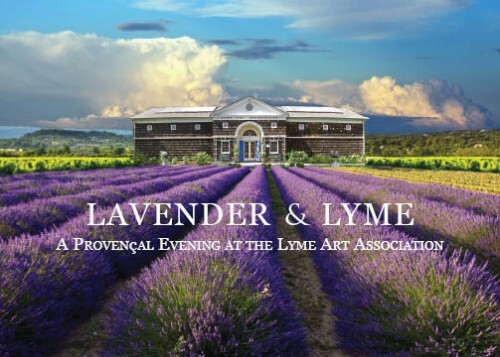 The Lyme Art Association, at 90 Lyme Street, Old Lyme Connecticut, is holding its 4th Annual Summer Fundraiser, Lavender & Lyme, on Saturday, July 16 from 6:30 – 10pm. A local jazz band, String Theory Duo, will kick-off the evening during cocktails and fabulous French Hors D’oeuvres, donated by Fromage Fine Foods. For dinner, sweet and savory crepes by Perk on Church will be served, followed by delectable desserts donated by Coffee’s Country Market. Guests will dance the night away to the eclectic sound of The Side Doors, and a silent auction of miniature paintings by LAA artists will be held. Sponsors of this event are: Atlantic Seafood Market, Old Saybrook; Benchmark Wealth Management, Old Lyme; Coffee’s Country Market, Old Lyme; Fromage Fine Foods, Old Saybrook; Hamilton Point Investments, Old Lyme; Perk on Church, Guilford; The Mergy Family; and Bank of England / ENG Lending, Milford. Tickets purchased in advance are $65 per person, Patrons (including 2 tickets) are $250. Individual tickets purchased at the door are $75. All proceeds from this event benefit the Lyme Art Association’s Charles A. Platt Restoration Fund established in 2008 to refurbish the historic building and grounds. Tickets are available at the Lyme Art Association, 90 Lyme Street, Old Lyme or by calling (860) 434-7802. The Lyme Art Association was founded in 1914 by the American Impressionists and continues the tradition of exhibiting and selling representational artwork by its members and invited artists, as well as offering art instruction and lectures to the community. The Lyme Art Association is located at 90 Lyme Street, Old Lyme, CT, in a building designed by Charles Adams Platt and located within an historic district. Admission is free with contributions appreciated. Gallery hours are Monday through Saturday, 10am to 5pm, Sunday 1 to 5pm. For more information on exhibitions, purchase of art, art classes, or becoming a member, call 860-434-7802. Kick off the summer with an exploration of a regional icon, the Clam Shack! 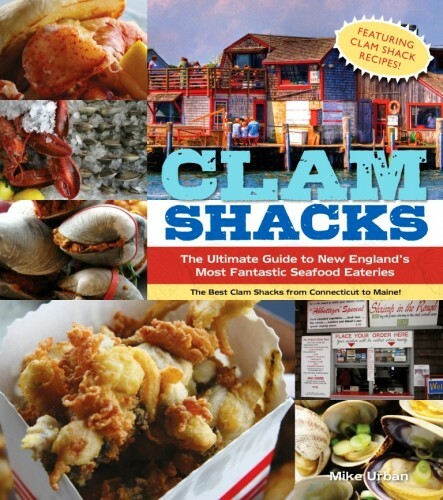 Mike Urban, author of Clam Shacks: the Ultimate Guide and Trip Planner to New England’s Most Fantastic Seafood Eateries, will be at the Acton Public Library Thursday, June 23 at 7 p.m. to share his experiences researching the book. Clam Shacks takes you on a road trip to the 55 best shacks, starting on the shores of Long Island Sound and continuing northeast around Narragansett Bay and Cape Cod, through the North Shore of Massachusetts and New Hampshire, and up along the coast of Maine. Mike Urban is a writer, editor, and book packager who specializes in travel, outdoor recreation, sports, and business/career books. Copies of Clam Shack will be available for purchase. There is no charge for the program. For more information, call the Library at 860-395-3184. A great evening for a great cause, the recent Friends of Essex Library’s gala benefit, All Aboard!, put the “fun” in fundraising. Partiers “rode the rails” on the Essex Steam Train to the Lace Factory in Deep River. There, they enjoyed cocktails, delicious finger foods provided by Andrea Isaacs of Cloud Nine Catering, and participated in a very entertaining live auction, with items that included an aerial tour of the Connecticut River Valley donated by pilot Captain Tom Walsh, a sectional sofa donated by Bob’s Discount Furniture, and a resort stay in Cozumel donated by Diane and Robert Gates. Revelers at the recent All Aboard! fund-raiser for the Essex Library arrive via Essex Steam Train at the Lace Factory in Deep River. The Honorary Chair of the 21st Century Campaign is Anne “Boo” Penniman, who was the Essex Library’s director for 13 years. A true visionary, Ms. Penniman has always seen the Library as “the university of the people”, and was instrumental both in the building of the new Library, and in its evolution into a center of the community. Key to All Aboard’s success were the contributions of both corporate and individual sponsors, who provided the goods and services, auction items, and funds to get the party rolling; Tower Labs, Hi-Rel Products, Bob’s Discount Furniture, Essex Financial Services, the Clark Company, and Mr. and Mrs. Chet Kitchings. Very special thanks also go to Cathy and Paul Poulin, the Law Offices of Christopher L. Morano, Andrea Isaacs of Cloud Nine Catering, Connecticut River Dock and Dredge, Essex Steam Train and Riverboat, Gull Associates, Pikme Papers, and Saybrook Ford. If you’d like more information about the 21st Century Campaign, please call the Essex Library at 860-767-1560. Test Your Legal Wits with MCCF and Judge Robert Holzberg! 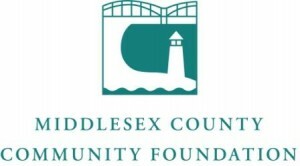 Test your knowledge of the law and match wits with Judge Robert Holzberg in his version of the game “Double Jeopardy” at Essex Meadows, Bokum Road, Essex on June 23 from 5.30 p.m. to 7.00 p.m, hosted by the Middlesex County Community Foundation. The Law. We use its terms in our every day conversation; we know many of its most famous names; we were avid fans of Perry Mason or watched all the Law & Order series. But how much do you really know? The Honorable Robert L. Holzberg provides a challenging and fun array of facts, quotes and famous names to test your legal wits; he then provides the real story behind those cases and verdicts which have defined so many of our legal rights today. for civil or criminal matters in the Middlesex, New Britain and Waterbury judicial districts. He is presently the Administrative Judge and Presiding Judge-Civil for Middlesex Judicial District. Judge Holzberg is the 2011 recipient of the Connecticut Bar Association Henry J. Naruk Award given to a member of the judiciary who epitomizes long-term, dedicated and conscientious service to the community, possesses the highest integrity, and has made substantial contributions to the administration of justice in Connecticut. In 2005 he received the Hon. 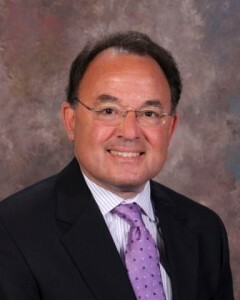 Robert F. Zampano Award for excellence in mediation, and in 1998 was the recipient of the Connecticut Trial Lawyers Association Judicial Award. 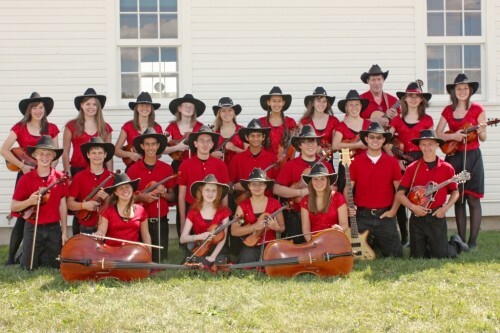 Fiddlers ReStrung, a high school touring group from Saline, Michigan will perform a free community concert on the lawn of the Connecticut River Museum on Thursday, June 30 at 5:30 pm. Essex, CT – The sounds of American Bluegrass, Celtic fiddle, and popular folk music will fill the air on the lawn of the Connecticut River Museum on Thursday, June 30 as Fiddlers ReStrung, a touring, 21-piece string ensemble composed of high school students from Saline, Michigan, perform a free community concert. The concert kicks off at 5:30 p.m. and promises a highly energetic and enthusiastic arrangement of diverse music and step-dancing. The public is invited to bring a blanket or lawn chair and picnic while enjoying the one-hour show with scenic Essex Harbor as the backdrop. 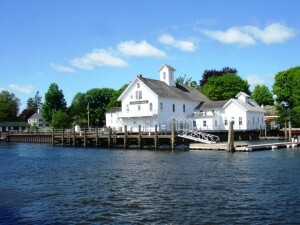 The Connecticut River Museum is located at 67 Main Street in Essex, CT. For more information on this or other programs and events at the Connecticut River Museum, call (860)767-8269 or go to www.ctrivermuseum.org. For more information on Fiddlers ReStrung, go to www.fiddlersrestrung.com. 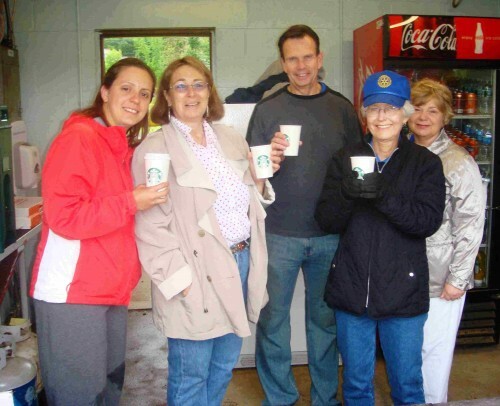 Rotarians working the Snack Shack at Devitt Field during the Antique Auto Show on Sunday, L to R: Desiree Richardell, Phyllis Haut, Tom Lindner, Tinder Baser, Gail Onofrio. Much fun was had at The Deep River Rotary Club’s 38th Annual Antique Auto Show at Devitt Field this weekend. Despite the weather a great time was had by all. Several cars showed up as well as many spectators to view some terrific autos. The club also gave the community a first glimpse of the bronze elephant that was purchased by the club. 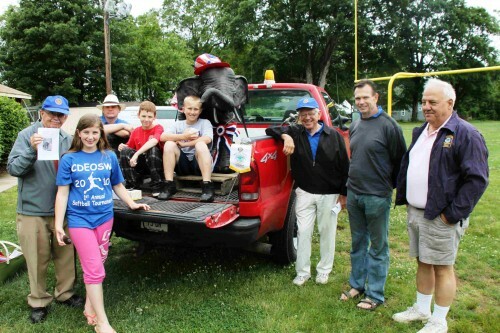 The elephant will be displayed in a prominent location in Deep River to explain the relationship our town had with the elephant and ivory production that led to Deep River being referred to as “Queen of the Valley”. This summer, book lovers are flocking to Novel Destinations , the Essex Library’s new Adult Summer Reading program. Why should kids have all the fun and goodies? Novel Destinations’ prizes include gift certificates from local retailers and an eReader. All you need to do is drop by the Essex Library and pick up a book log, or download one from the Library website at www.essexlib.org. If you’re 18 or older, read any six adult books, or listen to them in unabridged audio format. Record your six books on the form, and turn it in by August 31 to be eligible for valuable prizes. You can fill out as many forms as you like, and increase your odds of winning. Plus, earn bonus points for submitting a digital photo of yourself with a book at a “novel destination”; send it to staff.essexlib@gmail.com. The grand finale will be a talk by distinguished National Book Award winning author Carlos Eire (Waiting for Snow in Havana and Learning to Die in Miami) on Friday, October 7. For more information, call the Essex Library at 860-767-1560. The Connecticut Valley Camera Club is having a photography exhibit through June 28 at the Scranton Library in Madison, CT (community room in the lower level). Everyone is invited to an Artist’s Reception on Wednesday, June 15 from 6:00 to 8:30 p.m.
A total of 90 photographs are on exhibit (and for sale). The CVCC meets the last Monday of each month at 7:00 p.m. at the Community Room (lower level) of the Deep River, CT Library (photographers at all levels are welcome). The Earth Charter Community of the Lower Valley, Inc. (ECCoLoV) will hold its June meeting on Sunday, June 12 at the YURT, at the Sanctuary at Shepardfields, 59 Bogel Road, East Haddam from 2 p.m. to 4 p.m. The program will feature a local currency workshop developed by ECCoLoV board member Justin Good, PhD. Basic approaches to local currencies, how they work, and what benefits they offer will be outlined. ECCoLoV is developing a task force to begin a local currency system in conjunction with a regional information network being developed through the help of an anonymous supporter. The network will distribute information pertaining to community resiliency – essential resources and techniques for promoting local food, clean water, appropriate shelter and supportive community – in addition to providing a tracking platform for credits and debits associated with the local currency. Come to the meeting and learn more. Visit ww.earthcharterct.org for reading resources to learn more about the topic before the meeting. Or call 860-873-8989 for more information. Tarts 101 – A nice summer dessert. Demo on Sunday June 26 at 3 p.m. The Rotary Club of Deep River is sponsoring free T’ai Chi Classes this summer from June 23 to August 30. They will be held Tuesday and Thursday mornings from 7:00 to 8:00 a.m. The classes will be held at the Waterfront Park in Deep River near the town marina. Wear comfortable clothing that you can move freely in. The class will be taught by Shifu David Shaver of Peaceful Wolf T’ai Chi Ch’uan. His school is located in East Haddam. 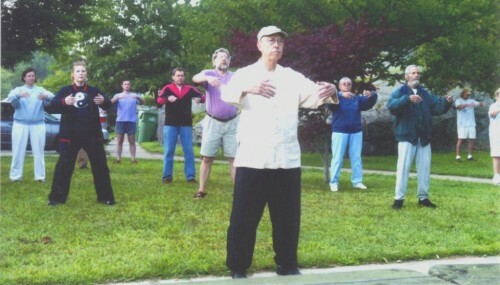 Mr. Shaver has been studying T’ai Chi Ch’uan for twenty-four years and teaching for seventeen years. His principle teacher was Grandmaster Jou, Tsung Hwa, the author of “The Tao of T’ai Chi Ch’uan”. His present teacher is Master Bruce Frantzis. He finds this opportunity in Deep River an exciting one. During his trips to China he saw people playing T’ai Chi every morning in the parks. This is somewhat rare in this country. So come and be introduced to this traditional art in a traditional setting. You will be learning the Fragrance Qigong, which gets the energy moving throughout the body. The T’ai Chi Form will be the short Yang Style form the class has worked on the last three years so returning students can refine their practice. Basic principles of T’ai Chi movement will be taught and as well as basic T’ai Chi and Taoist philosophy. T’ ai Chi, based on the philosophy of Taoism, is also a wonderful path to spiritual growth and emotional development. It must be understood, however, that all of these benefits can only be realized through regular practice. Come and play with us this summer – it’s free! For further information go to www.deepriverrotary.com of call Hedy Watrous at (860)304-1917. Learn about equipment used during investigations and how to investigate paranormal activity presented by Haunted New England Paranormal Research. Saturday June 25 at 6:30 p.m.
Chester, CT – The American Camp Association® (ACA) has announced that Camp Hazen YMCA is once again ACA-Accredited® for 2011. Camp Hazen has been accredited by the ACA for over 40 years. “ACA Accreditation means that Camp Hazen YMCA submitted to a thorough (up to 300 standards) review of its operation by the American Camp Association (ACA) — from staff qualifications and training to emergency management — and complied with the highest standards in the industry,” said Cindy Moore, National Standards Commission. 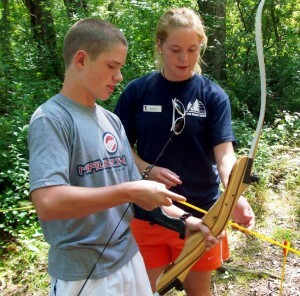 ACA helps all accredited camps provide healthy, developmentally-appropriate activities and learning experiences; discovery through experiential education; caring, competent role models; service to the community and the environment and opportunities for leadership and personal growth. ACA is the only independent accrediting organization reviewing camp operations in the country. Its nationally-recognized standards program focuses primarily on the program quality, health and safety aspects of a camp’s operation. ACA collaborates with experts from the American Academy of Pediatrics, the American Red Cross, and other youth-serving agencies to assure that current practices at the camp reflect the most up-to-date, research-based standards in camp operation. 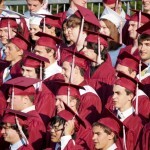 For information about accreditation, visit ACA’s www.CampParents.org.